Here's a situation the common carless Pinoy faces far too often: It's the end of the day, you're exhausted after a busy nine-to-five at the office, and all you want to do is change into a loose shirt and sink into your bed. You just want to get home, in other words. But there's a problem. This is Manila, where point A to B might as well be point A to Z. The last thing you want right now is to be packed into a mode of transportation with the person-to-space ratio of a can of sardines, so you hail a taxicab. Then another. And another. An hour-and-a-half later, and eto na. "This is it!" you think to yourself as you hop into an old and moldy (but still functional) taxi. You tell manong driver your destination, and that's when the bombshell drops: "Sir, traffic po doon...dagdag singkwenta na lang po." From flat-out extortion to sword-wielding, the past few weeks have seen a spike in "abusive taxi driver" stories on social media. What is it that drives these cabbies to do what they do? To find out the answer, Top Gear Philippines staffers took taxicabs over the weekend to try to shed light on this pressing matter. And while our findings cannot be considered the result of a formal study, we hope that this will at least give you an idea of what life is like on the other end of the spectrum. One driver we spoke to--we'll call him Andrew--is a military veteran, former OFW and loving husband who sends selfies to the wife every now and then just to assure her he's at work. He hopes to one day save enough to buy himself a dirt bike. 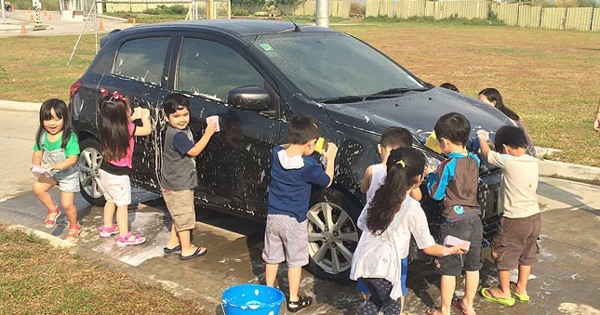 Abroad, Andrew was able to make up to P45,000 a month just driving (his family even owns a Montero Sport). And where does he find himself upon returning to his home country? Stuck in traffic like the rest of us. According to him, the traffic is sometimes so bad that drivers might as well just pull up to the side of the road and get some rest--which he had done earlier in the day. The other cabbies share the same grievances. "Minsan, hindi na lang ako bumibiyahe (because of traffic)," another taxi driver explained with a blank face, looking tired in the red glow of the taxi meter. "Ang hirap na nga habulin nung boundary, lugi pa kami sa gas at oras. Magpapahinga na lang ako sa gasolinahan kung ganun." But they can't always turn down passengers because of the traffic, because they have to be able to bring home something for their family. With boundaries that go up as high as P1,900 a day, every peso counts. Other times, they pass up on passengers out of pure exhaustion. 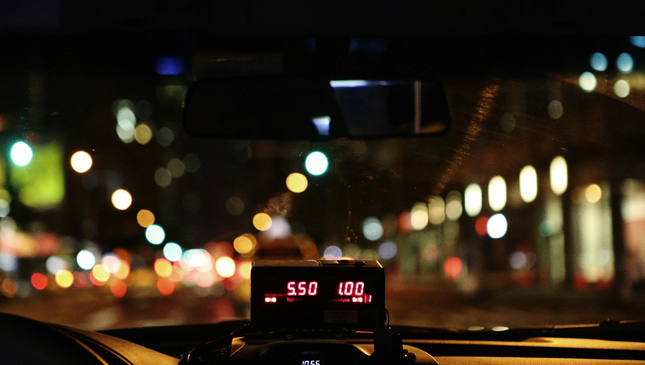 At least one cab driver admitted that he regularly does 24-hour shifts, while the shortest shift is 15 hours. Mr. 24 Hours--let's call him Ben--said that during an ideal shift, he's sometimes able to collect around P4,000, "kapag walang traffic at okay talaga yung biyahe." Of course, he'll have to deduct fuel and food expenses, as well as his boundary from that sum. We can only imagine what a bad day must be like. But perhaps the most troubling reason as to why cab drivers are sometimes choosy with passengers is that they fear for their safety--even more than we fear for ours. Some of them narrated detailed accounts of fellow drivers being held at gunpoint. Ben shared one particular story in which another driver's cab was stolen, only to come to a halt via a hail of bullets at a nearby checkpoint. "Putok ang likod ng ulo nung kumuha ng taxi nya," he said. "Hindi ko lang alam kung anung baril ang tumama, pero butas talaga yung ulo niya." He continued: "Kung late na at grupo ng tatlo o apat na lalaki, hindi na kami tumatanggap. Kahit nga may babae e. Nagsasama na rin sila ng babae para hindi halata." He added that these crimes often take place very late at night until the wee hours of the morning. Not because of the cover of darkness, but because it's at this time that taxis have the most money on them. Another cabbie described a modus wherein an attractive woman would hail a cab, only to bring him to a location where goons are waiting in ambush. Stories like these explain why some taxi drivers conceal deadly weapons inside their vehicle. Of course, using these on passengers is another story altogether. "Iilan lang naman ang mga driver na ganun," Ben pointed out. He offered that those nutjobs get in because, well, it's too easy to become a cab driver. "Pag may drug test, iinom lang ng maraming gatas sa umaga. Kinabukasan pasado na yan. Hindi lalabas sa test yan." This is one of the reasons so many of us would rather take Uber or GrabTaxi, as these companies have a more stringent driver-screening process. 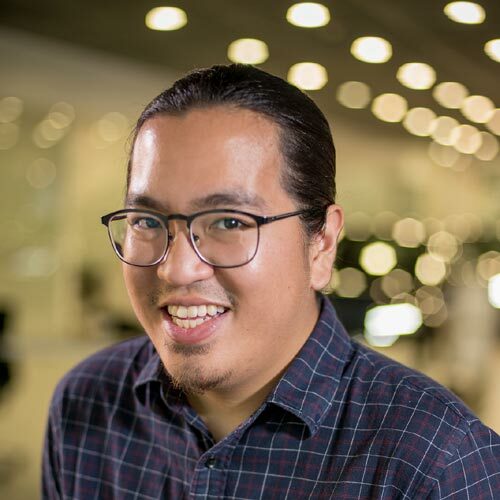 Speaking of Uber and GrabTaxi, Ben shared that these app-based transport services are having just as much trouble as regular cabs when it comes to finding passengers. "Marami akong kilala na GrabTaxi drivers, bumabalik na lang sa regular taxi. Ang dami na rin talaga kasing GrabTaxi at Uber ngayon." Anyway, I'm one of the very few people who, for the most part, still rely on traditional taxicabs, due to the fact that I don't own a credit card. Last Sunday, I found myself trying to hail a cab from Congressional Avenue in Quezon City all the way to Pasig at 3am. We were crossing to the other side of the street to try our luck there, when a cab finally pulled up and rolled down his window. It was Andrew, again (believe it or not). I had just ridden in his cab nine hours ago, and by some stroke of luck I was just a few corners from his neighborhood. I hopped in and immediately began talking about how mind-blowing it was that I was sitting in his cab again. Almost as if fate had willed it. Andrew then described how he had had to down three bottles of Cobra to have the energy to drive me home. He was typing away on his phone waiting for the traffic light to turn green--his wife was still messaging him at this unholy hour. "Asawa ko na naman," he said, the screen of his phone illuminating the dimly lit cabin. I laughed. He must really want that dirt bike.